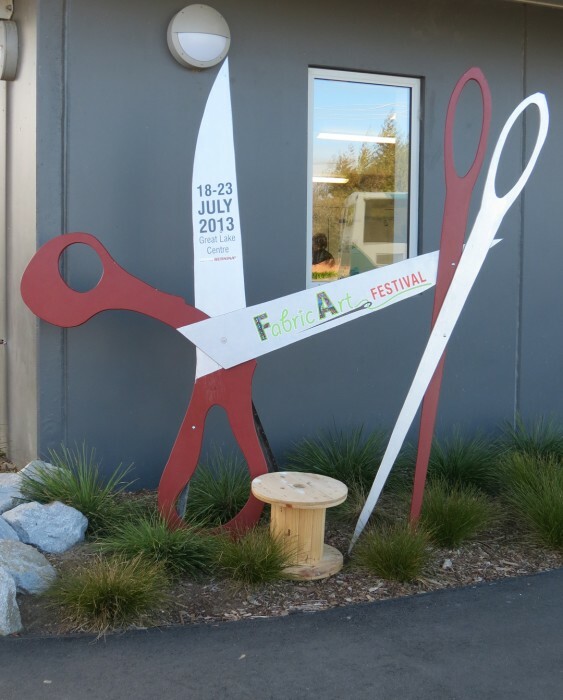 My stay in Auckland was all too short when it was time to move south to the mountain community of Taupo, home to the 2014 New Zealand National Quilt Symposium. Faculty arrived throughout the day, many of whom had flown through the night to get here. I was triply glad that I had elected to arrive a few days early. The Symposium Team let everyone rest that first day and settle into our rooms, but the next day was set aside for touring! And, our first stop was Huka Falls. 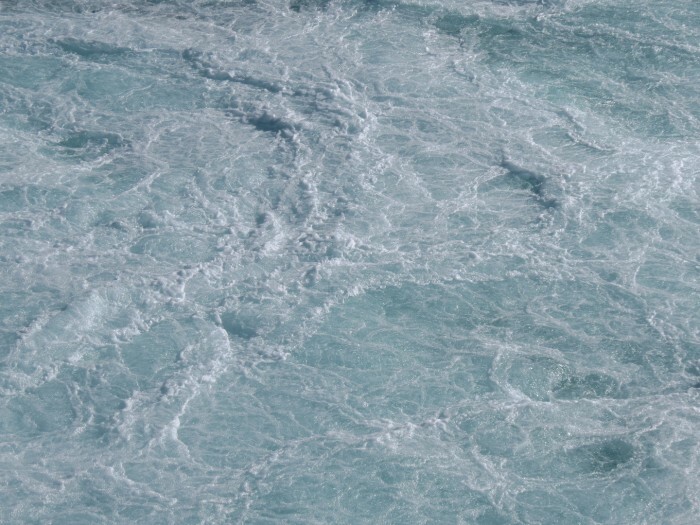 Huka Falls – can you see the tiny people? Living in the southwestern United States, it is hard to imagine so much water. Huka Falls are a set of waterfalls on the Waikato River that drains Lake Taupo , the largest freshwater lake in New Zealand. 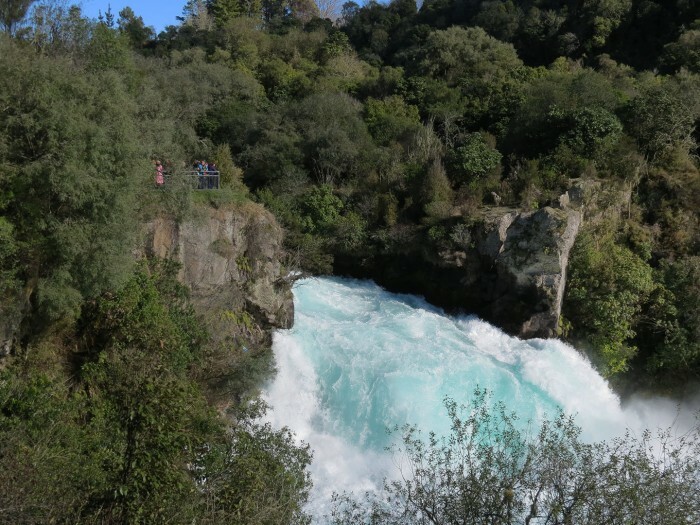 At Huka Falls, the Waikato River narrows from approximately 300 feet wide into a narrow canyon only 45 feet wide, making for an impressive display. The canyon is carved into lake floor sediments laid down before Taupo’s Oruanui eruption 26,500 years ago. 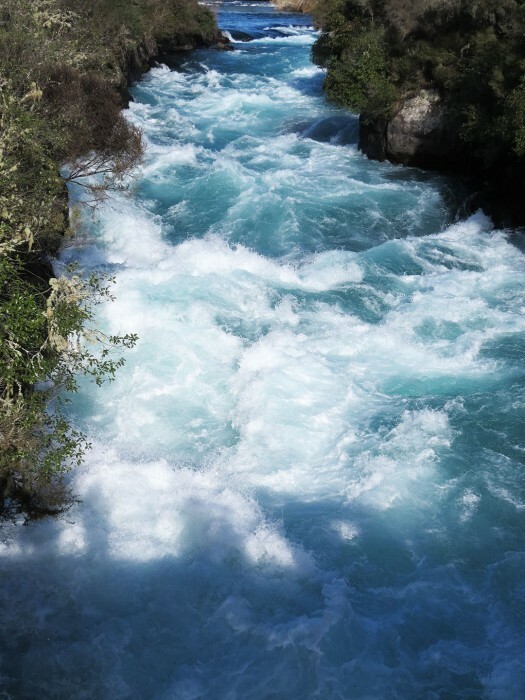 The volume of water flowing through often approaches 220,000 litres per second, regulated by the Taupo Control Gates as part of their hydroelectric system. The uppermost falls are a set of small waterfalls dropping over about 25 feet, while the most impressive, final stage of the falls is a 35 foot drop. 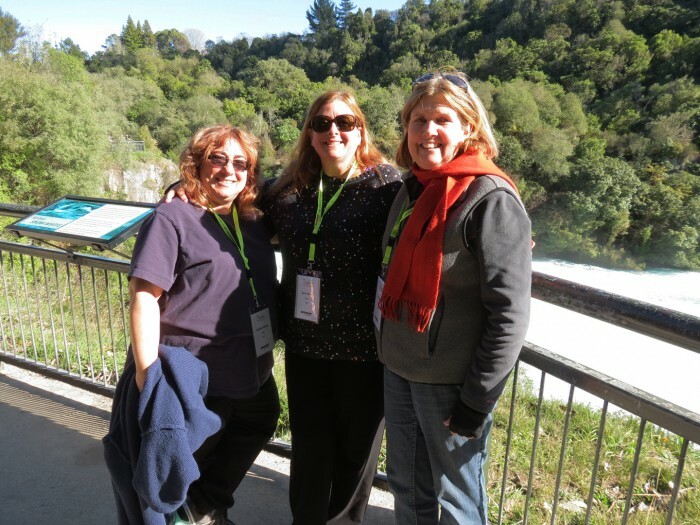 In addition to learning about the natural wonders that surround Taupo, it was a great time to bond with our colleagues, with whom we rarely get to see as our schedules seldom allow for time to visit at a busy show. We so appreciate the Taupo Symposium Committee’s efforts to build in a free day! Here, Robbie Joy Eklow, Cara Gulati and I pose beside the mighty Waikato River below the falls. 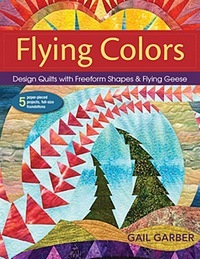 I think I see a future quilt in this image! Stay tuned for lunch adventures!